The break for Christmas and New Year is over. 2018 could potentially be another wonderful year for FC Barcelona and it all begins at Balaidos in the Galician city of Vigo on Thursday at 7.00pm CET, with this Copa del Rey round of 16 tie. Ousmane Dembélé was named in the squad a day after being declared fully fit after a 108-day battle to recover from injury. The rest of the squad is as follows: Ter Stegen, Cillessen, Semedo, Piqué, Rakitic, Sergio, Denis Suárez, Mascherano, Paulinho, Jordi Alba, Digne, Sergi Roberto, André Gomes, Aleix Vidal and Vermaelen, while there is also room for Carles Aleñá (26) and Jose Arnaiz (37) of Barça B.
Paco Alcácer and Samuel Umtiti both miss out through injury, while Arda Turan, Andrés Iniesta, Luis Suárez, Leo Messi, Rafinha and Gerard Deulofeu will also be staying behind in Barcelona. Barça are way out in front of the peloton in la Liga, comfortably through to the last sixteen in the Champions League and unbeaten in both those competitions. In their opening Copa del Rey fixture, and although several first team regulars were rested, they cruised to 8-0 aggregate victory against Murcia of Division 2B. Celta, meanwhile, won both legs of their round of 32 meeting with Eibar, but their Liga form has dropped off a bit of late and they are now eleventh. Like Barça, who ended 2017 with a win at the Bernabéu, Celta also saw out the year with a morale-boosting victory, 3-1 at the home of local rivals Deportivo. 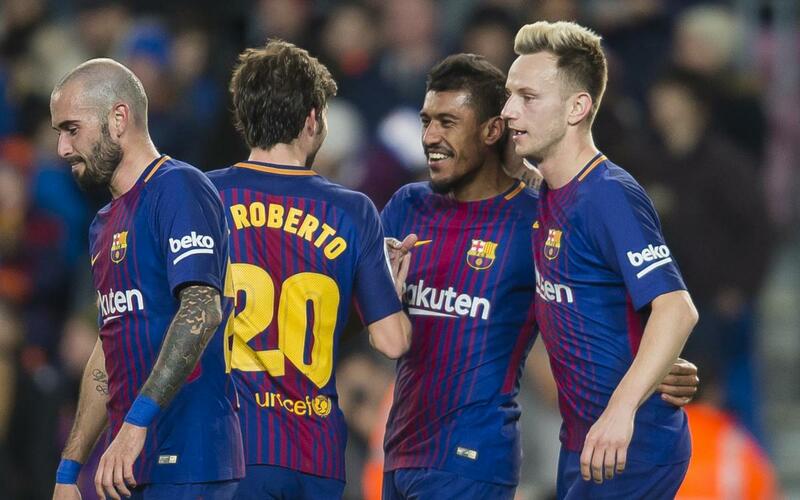 Although history and current form are heavily weighted in Barça’s favour, the players will be well aware that the last two league visits to Balaidos ended in defeats for FCB (4-1 and 4-3), and the game at the Camp Nou earlier this season was another setback for the Catalans, ending 2-2. Barça are looking to win the Spanish Cup for the fourth time in a row. Madrid FC, in the days before they had adopted the ‘Real’ prefix, did win the cup each year from 1905 to 1909, as did Athletic Club from 1930 to 1933, but this would be the first time any team has strung together four consecutive wins in the post-war era. Celta, meanwhile, have reached the final three times in the past but have yet to win the coveted trophy.